Visser Horti Systems introduces a new AutoStix-strip: the unique multimedia strip is designed so that its plugs can be filled with any type of media. The rooting process of cuttings can therefore take place inside the plug, which provides growers with another revolution in automatic transplanting! 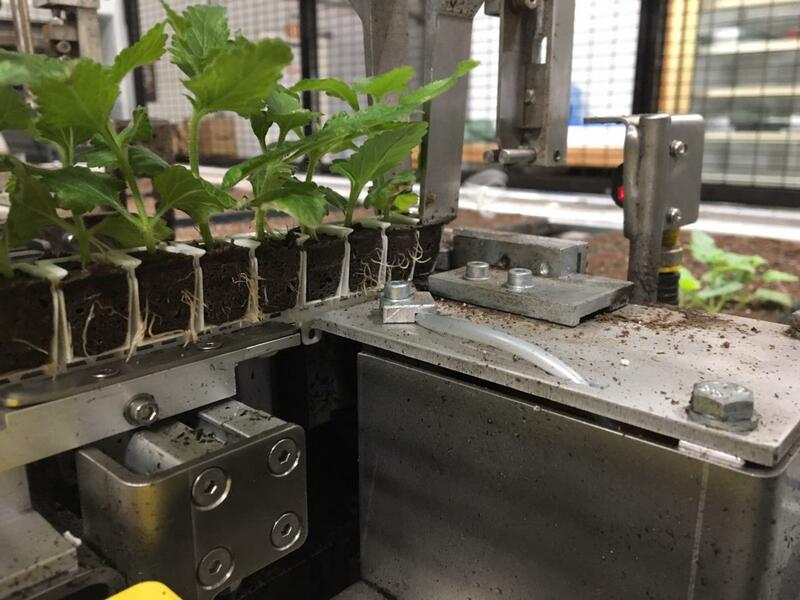 Automatic transplanting with existing AutoStix-strips offers various advantages for growers: time and labor costs are reduced, while space in the greenhouse can be utilized more efficiently. AutoStix is an open source system, which has been demonstrated with the introduction of transplanting rooted cuttings. Visser’s new multimedia strip aligns with the existing AutoStix configuration for strips with 34 cells. This offers even more flexibility for growers! Visser acknowledged the necessity to further optimize the process of automatic transplanting and developed the revolutionary multimedia strip with Ball Horticultural Company. The strips are filled with media, which is followed by the insertion of small holes and shipment to off-shore production locations such as Africa or Central America. The strips are wettened and cuttings can be transplanted into the new strip. For the European market, Visser Horti Systems launched the multimedia strip together with Selecta one. Visser’s multimedia strip provides growers with more flexibility. Growers based in Europe may have the rooting process take place in off-shore locations such as Africa or Central America. Rooted plants can then be sent directly from off-shore production locations to growers. Growers can transplant directly into the end pot.